We are a Veteran owned and operated hog control company that also provides the best fully guided, hog hunting adventure in Southwest Georgia. Our wild hog adventure is unlike any guided hunt you have ever experienced. Our hunts take place at night. We use a 4×4 van, equipped with a long range thermal, on a pan/tilt unit, hooked to a large monitor, inside. 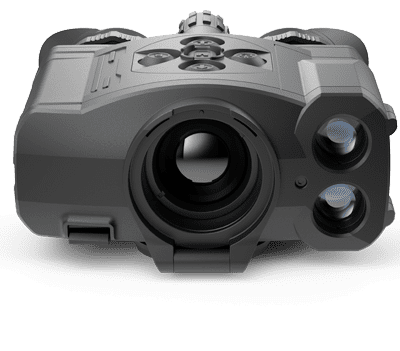 This allows us to locate wild boars or predators at great distances, from the comfort of a leather chair, in a climate controlled environment. Then, we gear up with AR-15s with top of the line Armasight thermal scopes, to kill as many pigs as possible. The better you shoot, the more you can get. We process your hogs, on the spot, at no extra charge. We offer these hunting adventures, year round, to accommodate any schedule. Because of the way we hunt, we’ve accommodated hunters from 11 to 93 years old. We hunt exclusively at night for wild hogs. On a good night, we can have several encounters, from close range, to 200 yards long shots. This is true spot and stalk hunting, in open fields. No captive animals or game ranches. You never know whats going to happen. Would you like to go with us? If we put you 60 yards from 20 pigs, with our gear, how many could you harvest? For $500 per night, you can find out. Give us a call. We supply EVERYTHING you need to hunt. Weapons, optics and ammo. If we can’t get you on hogs during your hunt, we will take you again for the cost of fuel! We have about 85% success, for one night. 90-95% for two nights. That includes nights, where we have no choice but to hunt in rain and bad winds. These hogs are VERY good eating. They eat peanuts, acorns, corn, and watermelons, off the local farms. No antibiotics. No steroids. No hormones. Just an all natural, nutty/buttery kinda goodness, on the hoof. You can shoot all your skills allow you to. NO HARVEST LIMITS. NO TROPHY FEES. The farmers NEED them ALL gone. It’s our job. It’s your adventure. We offer these services, in Southwestern Georgia, to the rural communities surrounding Leesburg, Smithville, Bronwood, Dawson, Parrott, Sasser, Americus, Andersonville, Desoto,Plains, Cordelle, Arabi, Albany, and Putney, Georgia. HogSWAT serves a maximum of 8 clients per night. Year round. $500 per customer per night.